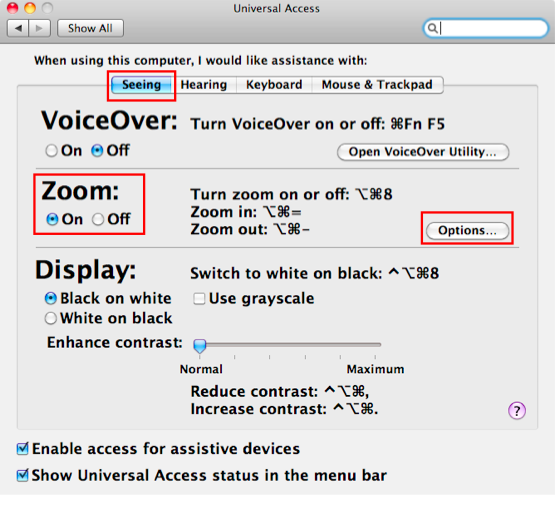 The zoom feature built into Mac OS X can magnify the contents of the screen for low vision users. Select the Seeing pane and choose the On button under Zoom. To set the options for this feature, click the Options button on the right side of the window. 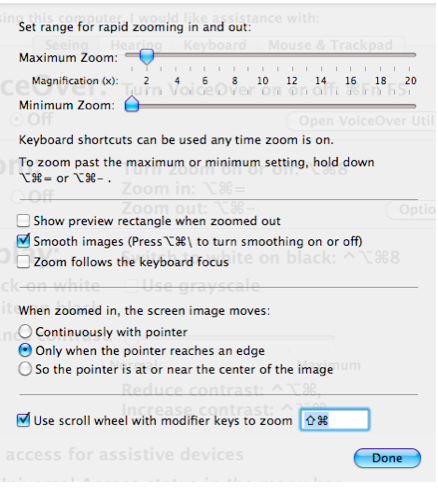 The Maximum Zoom and Minimum Zoom sliders are used to set the zoom amount when you activate the zoom feature. 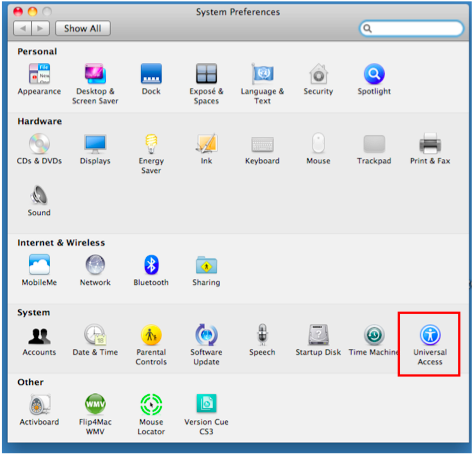 At the bottom of the window, you should set the option to have the screen image move only when the pointer reaches an edge, as some users find this setting less disorientng than having the screen image move along with the pointer. When you?re finished, select Done to close the Options window.